This year marks Kanebo Lunasol 15th anniversary and in Malaysia we have a celebration in Kampachi a Japanese restaurant. I love how the dancer moves gracefully as she paints the backdrop. 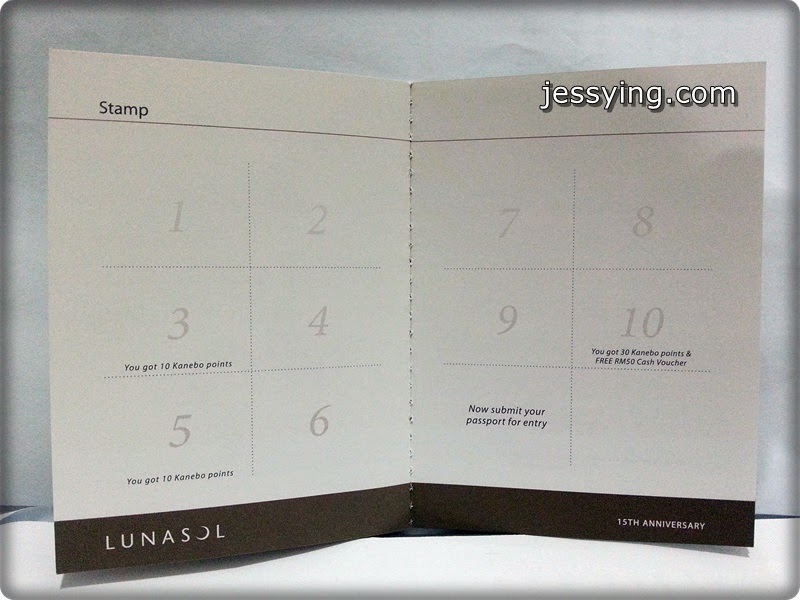 Do you know the meaning of LUNASOL? Lunasol – which means Moon (Luna) and Sun (Sol) in Latin– plays on the concept of light and shadow, response and motion. It expresses the many faces and inner mysteries a woman possesses. Applying makeup is a ritual that lets a woman awaken her beauty within. With innovative formulas, Lunasol breathes life into skin as the makeup melts to accentuate a flawless complexion, draping your face in light and shadow for a brilliant radiance and perfect dimension. Highlight of the event was The Kanebo Lunasol 15th Anniversary Makeup Palette was officially launched. Kanebo Lunasol 15th Anniversary Makeup Palette consists of a special eye shadow set commemorating Kanebo Lunasol's 15th anniversary, in which six beige colours have been collected, including reproduced colours and existing popular colours. 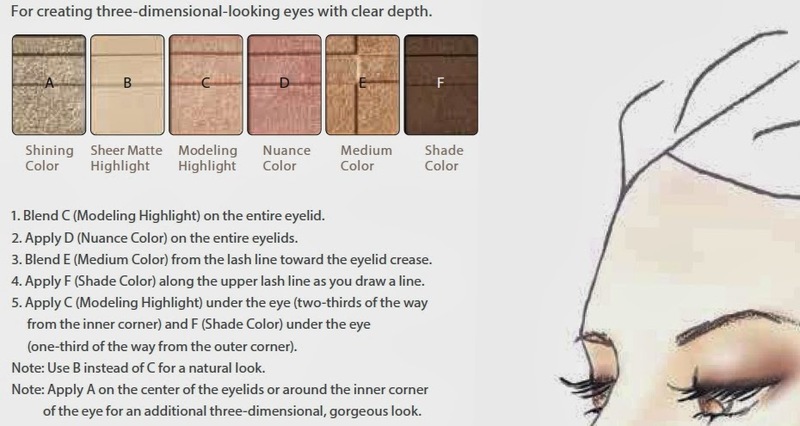 The first sight, I spotted the famous Lunasol Eye Shadow Skin Modeling Eyes 01 Beige Beige eyeshadow colour similarity in the makeup palette. 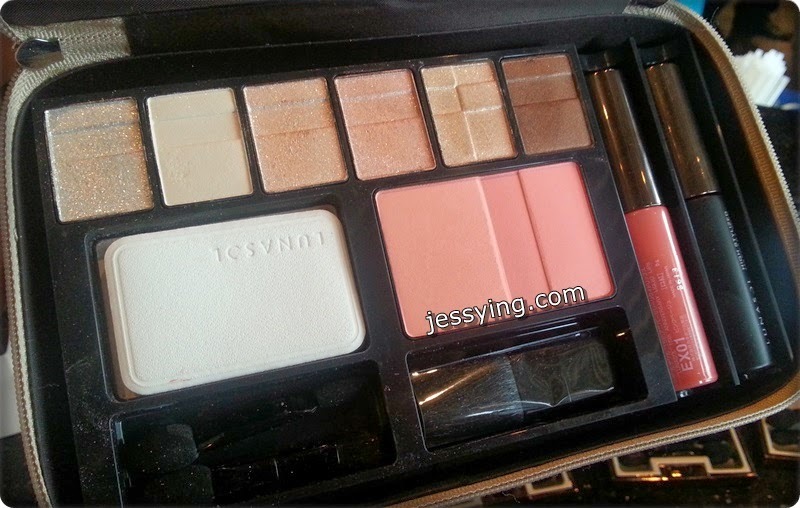 Upon asking, it's true that Beige Beige has been incorporated into the eyes makeup collection. Note : The pic does not justify the product as the sunlight when I was taking pic. 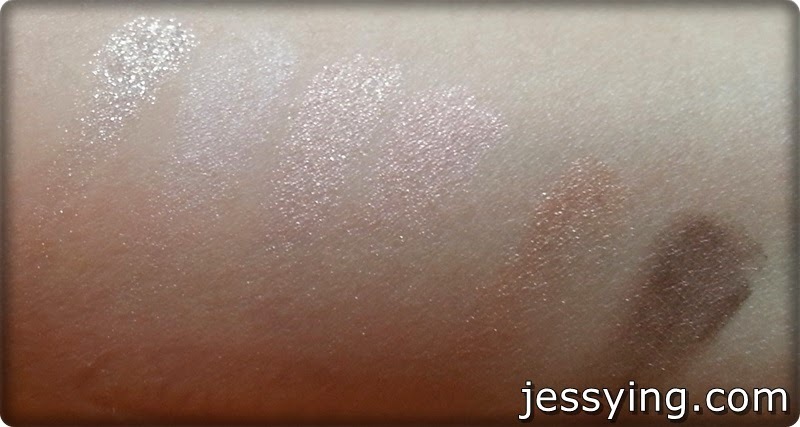 Personally I have tried to swatch the eyeshadow and the texture is amazing. Very fine, smooth and pigmented . And this actually reminds me why I do like Lunasol eyeshadow very much. 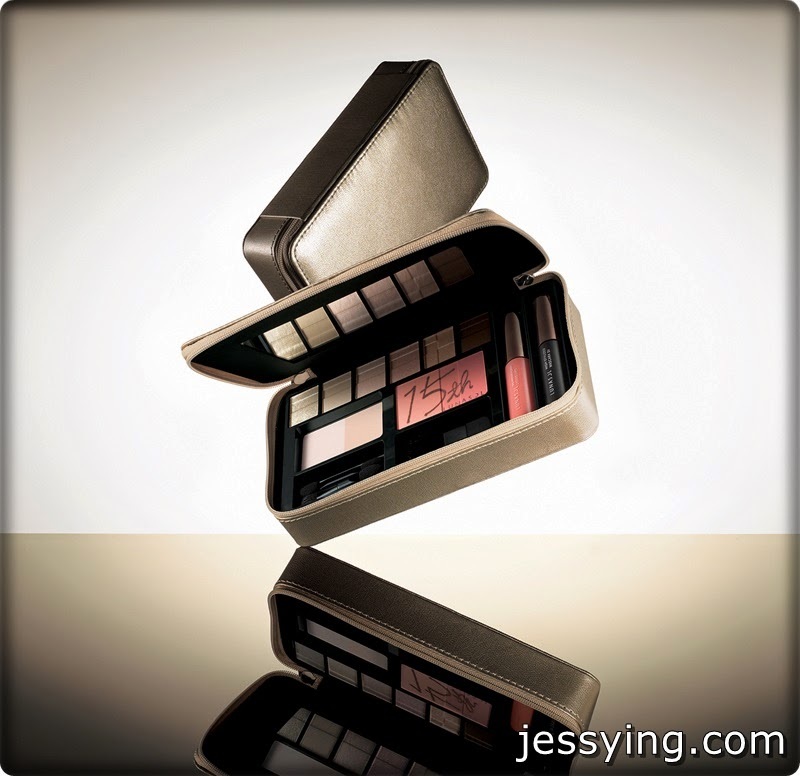 I was told that the palette could be deported and the golden pouch can be reused. Kanebo Lunasol 15th Anniversary Makeup Palette is priced at RM 368. Although this does not come cheap but considering that there are 6 full size eyeshadow colour, 1 full size blusher and 1 full size press powder make up for the price. The pouch and travel size mascara & lipgloss are add on value. Besides this a limited edition palette and honestly it would be a good makeup palette to own because all the colours in the palette is suitable for daily use and the quality of the eyeshadow is great. Their blusher itself also is really pretty too. And if this is the first time coming across Lunasol, well this Kanebo Lunasol 15th Anniversary Makeup Palette is definitely a good one to own as their Beige Beige eyeshadow colours definitely would not disappoint you. I was thinking to get this... so last weekends when I was at the mall and went to check for this. I was told it was out of stock the moment it arrived the counter as it was reserved by many regular customers, it gave me no suprise as this is a limited edition and definitely a good one to own. However I was told there are still a few scattering around. So you might want to check Kanebo Malaysia facebook to see where they are. Besides the makeup palette, at the event Kanebo Lunasol Modeling Beige Skin SPF 30 PA++ was also launched. 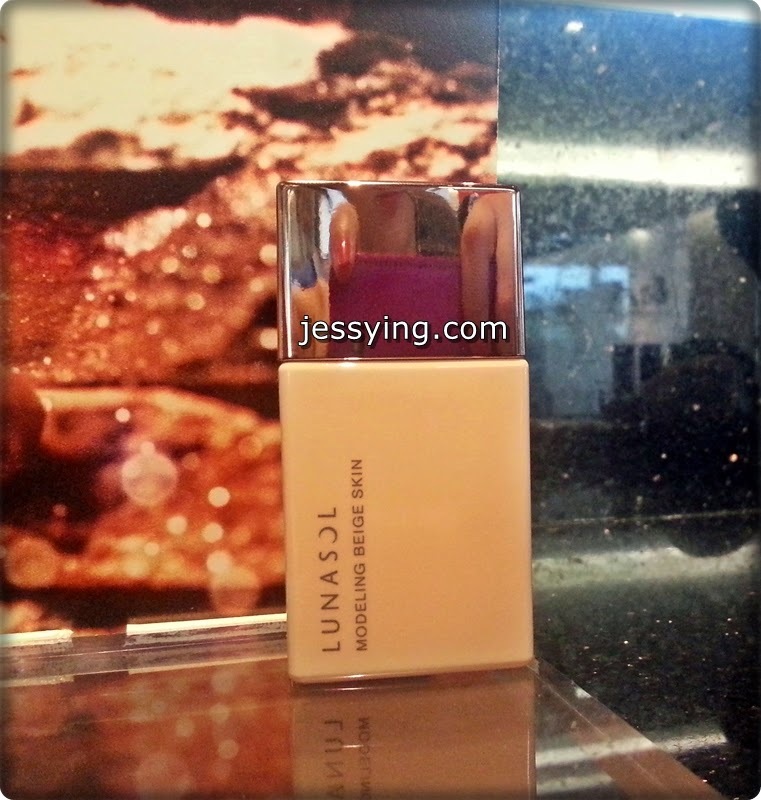 This is the first Lunasol base makeup product which is inspired by Beige Beige from Skin Modelling Eyes which was released in 2007. The product is thoroughly infused with the e effects of Beige Beige that naturally conditions the skin tone and texture while bringing out three-dimensionality. The succulent light texture made from water and oil in a one-to-one ratio creates an ultra-thin film that becomes integrated with the skin, as if wearing a fine, translucent veil. This is a whole new multi-tasking base makeup that can be used alone or also be used together with your own foundation or makeup base. I have not tried the product yet because it is not yet available in store. I found out Kanebo Lunasol is currently running a contest in conjunction with their Kanebo Lunasol 15th Anniversary for their customers. The prize is really exciting and everyone dream - that's a fully paid trip to Japan for two! Check out the details of the prizes .. Spend RM400 and above of Kanebo products and receive ONE stamp! You got to collect TEN stamps before you can submit your completed Kanebo Passport to the Kanebo counter near you and you'll be entitled to join the Kanebo Passport lucky draw. 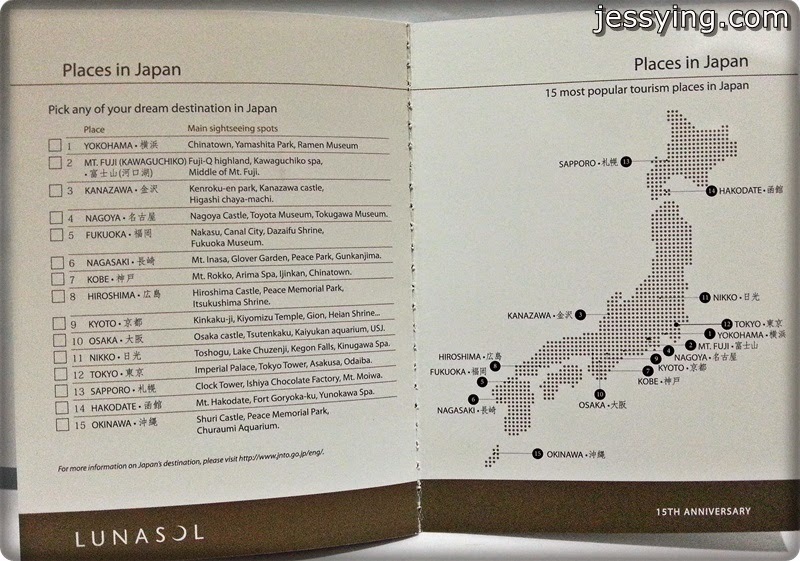 Did I tell you that the Grand Winner get to choose any of their dream destination to Japan from the 15 most popular tourism places in Japan. 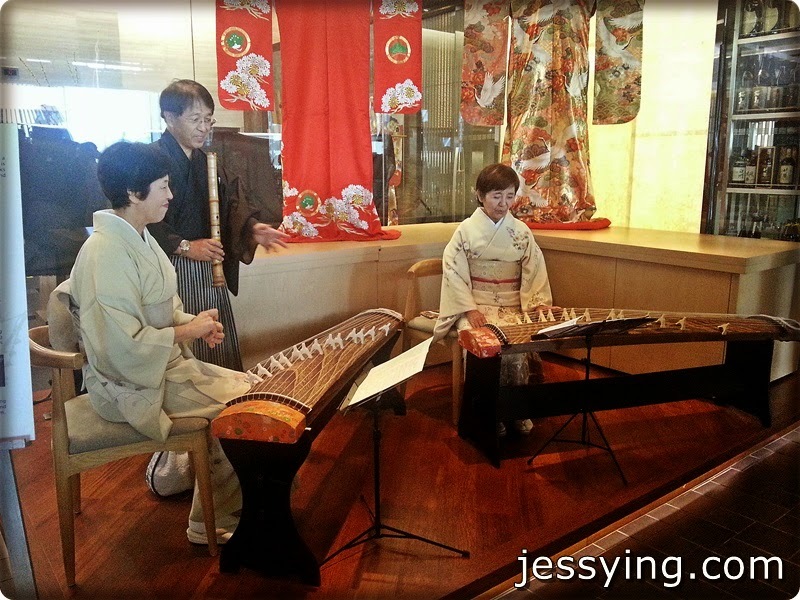 Japan is such a beautiful country with really polite people... how I miss them so much!! That's me in Kyoto one of my favourite city. I checked that I took this picture exactly 3 years ago, I insisted going to Japan even after tsunami just to see the sakura blooming. No regret! I have been to at least half of the list stated above ... and I can't wait to go Japan again to complete the list! 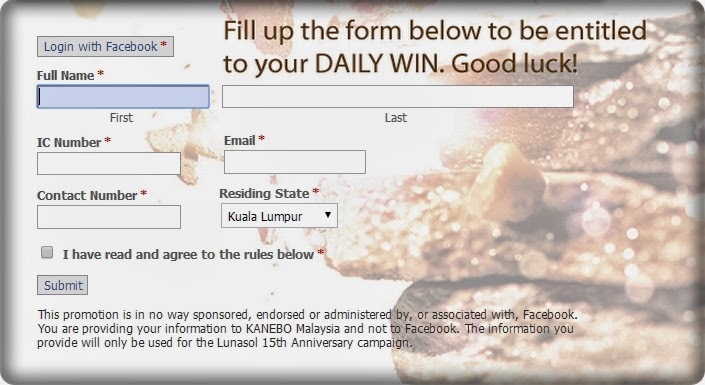 So maybe you all should try your luck too and join Kanebo Lunasol Dream Trip Japan Passport Lucky Draw contest. Note : Final submission for Kanebo Lunasol Passport Contest is on 30 June 2014. 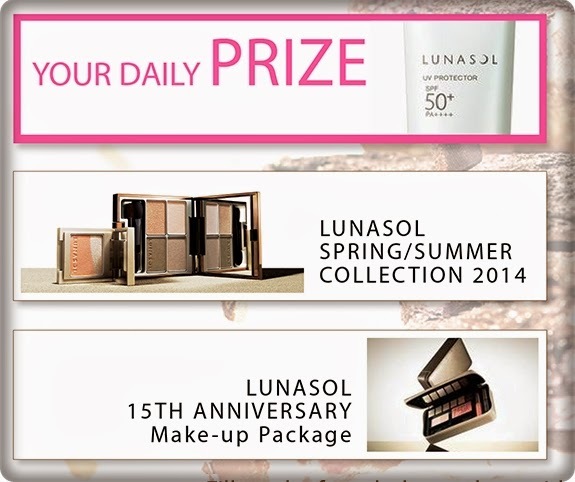 Just key in your details at Lunasol Daily Win tab at http://bit.ly/lunasolMY15 to stand a chance to win their daily prizes! Last but not least, Happy 15th Anniversary Kanebo Lunasol!